It’s officially summer tomorrow and scorching new figures show the sun safety message isn’t sinking in, with half of all Queenslanders getting sunburnt every year. Cancer Council Queensland CEO Ms Chris McMillan said the start of summer in Queensland came with an important reminder about the importance of sun protection. “Our state has the highest rate of skin cancer in the world, so it’s crucial for Queenslanders to take sun protective measures when out and about, especially during summer,” Ms McMillan said. 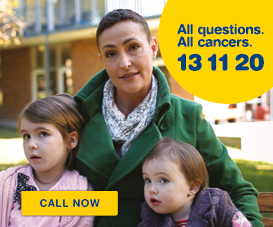 Around 3600 melanoma and 343,000 non-melanoma skin cancers are diagnosed across the Queensland each year. Sun protection is required when the ultraviolent (UV) index is 3 and above, which is all year round in Queensland, and can even be from as early as 7.20am in summer. “What many people don’t realise is that skin damage can occur in as little as 10 to 15 minutes – even on cold or overcast days,” Ms McMillan said. Federal Minister and Gold Coast MP Karen Andrews reiterated the importance of sun safety, after her husband was recently diagnosed with a stage two melanoma in his leg. “It was so unexpected that my husband would have any sort of a skin cancer. He has six-monthly skin checks, so in the space of that time he had developed a stage two melanoma,” Minister Andrews said. “The message from my family to all families and individuals on the Gold Coast and in Queensland is be forever vigilant and see your general practitioner if you notice any changes. Ms McMillan urged all Queenslanders to reduce their risk of skin cancer by following all five sun protective recommendations. “We know from The Health of Queenslanders 2018 report that only 22 per cent of adults and 47 per cent of children wore a broad-brimmed hat, long sleeves and long pants or skirts and used SPF 30 or higher sunscreen for sun protection in summer,” Ms McMillan said. “Sunscreen on its own or a good hat alone isn’t enough – we need to make the effort to do all we can to reduce our skin cancer risk. 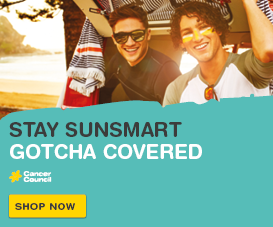 Cancer Council’s SunSmart app allows people to track UV levels in real time, with advice on applying sunscreen and myth-busting information, and is available in app stores for free, or online via cancer.org.au/SunSmartApp. 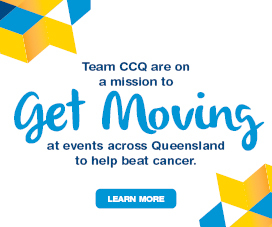 More information about Cancer Council Queensland is available at cancerqld.org.au or Cancer Council’s 13 11 20. *Report of the Chief Health Officer Queensland, The Health of Queenslanders Report 2018: https://www.health.qld.gov.au/research-reports/reports/public-health/cho-report/current/full#8.